Claire is responsible for scaling Stripe’s worldwide business operations to meet the needs of its rapidly-growing user base. 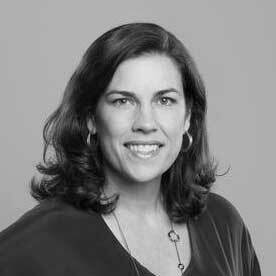 She brings nearly 20 years of experience in sales, product marketing, and operational scaling to Stripe. From 2004-2014 Claire led various product and operations teams at Google, most recently for the Self-Driving Cars project. She also managed global mid-market sales for AdWords and the business teams for Gmail, Google Checkout, and Google Apps. Prior to Google, Claire spent time in management consulting and Massachusetts state politics. Claire earned a bachelor's degree with honors from Brown University and an MBA from Yale School of Management. She serves on the board of Hallmark Cards, Inc. and as a Trustee of Milton Academy. She lives in Menlo Park, Calif., with her husband, children, and a neurotic Dachshund named Cookie.